King Street Senior Housing is the newest program operated by Homeward Bound of Marin — an affordable housing community where 12 seniors who have experienced homelessness can build hope and health. 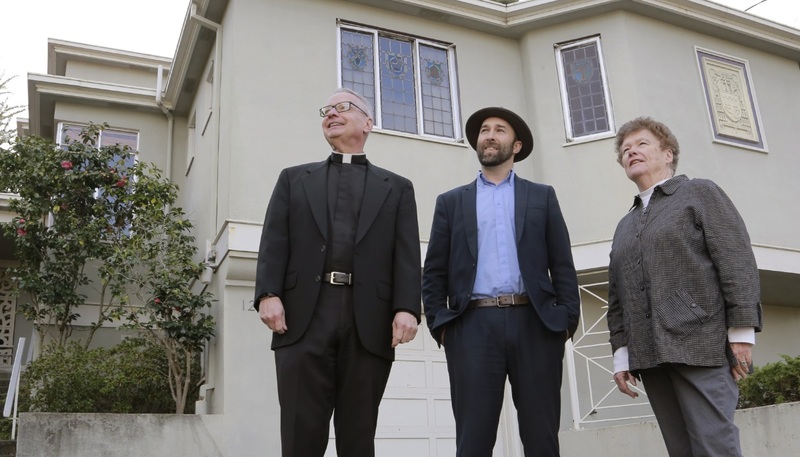 This program has been created in partnership with St. Patrick’s Church, which has leased the former convent at 127 King St. in downtown Larkspur to Homeward Bound of Marin for 35 years. With community support, we have completed $1.3 million in renovations, including a new roof, new windows, remodeled kitchen and upgrades for bathrooms and doorways to accommodate wheelchair access. The King Street program opened its doors to the first residents just before Christmas and eventually will accommodate 12 seniors aged 62 or older, one of whom will serve as on-site manager. Tenants also will have support from a Homeward Bound program coordinator to access help with transportation, health care, job search or other needs. Plans for King Street Senior Housing received unanimous approval in February 2018 from the Larkspur Planning Commission. Other funding partners include the County of Marin, Marin Community Foundation, Tamalpais Pacific, the HOME federal housing grant program and the Peter E. Haas, Jr., Family Fund. For more information about King Street Senior Housing, please contact Deputy Director Paul Fordham by email or call 415-382-3363 x211.